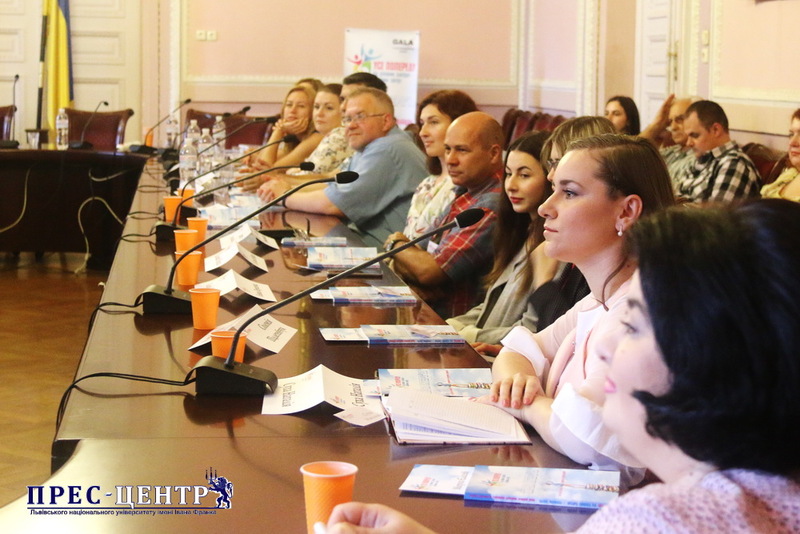 The release of the book “EVERYTHING IS AHEAD” united numerous professional interpreters and students of the Translation Studies and Contrastive Linguistics Department in the Mirror Hall of the Ivan Franko Lviv National University named after Hryhoriy Kochur. 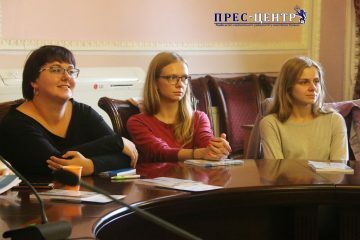 The event was organized due to a unique initiative by Tetyana Struk – Founder/CEO at Linguistic Centre, Lecturer at Lviv Ivan Franko National University at the Translation Studies Department and an experienced translator whose name is known not only in Ukraine but beyond its borders as well. 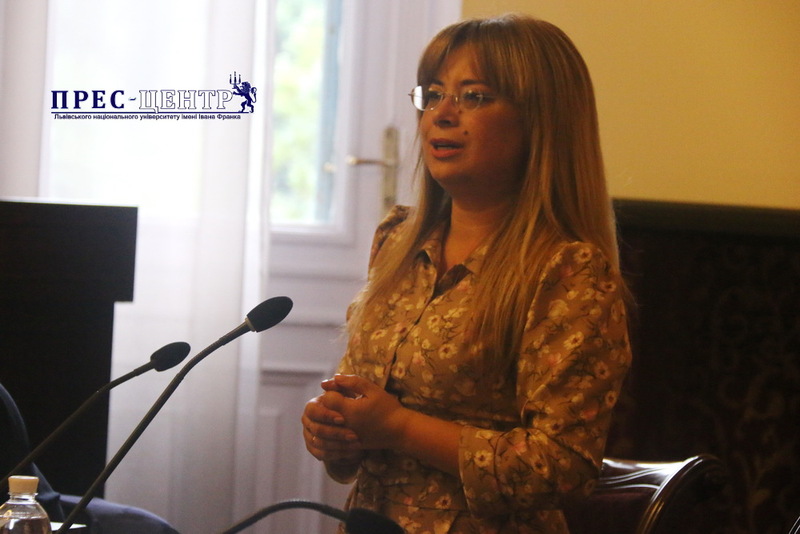 Once Tetyana Struk gave students a task to communicate with interpreters-practitioners and to discover secrets of their artistic heritage. For students craved for new experience and professors were interested to pass on their experience, the whole book appeared. Its presentation gathered together the enthusiasts from different cities. 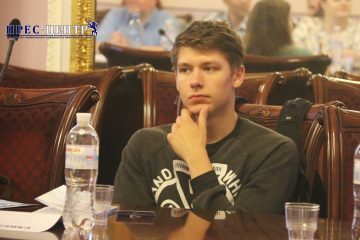 Olha Diakova, Oleksander Ivanov, Victoria Moroz, Roman Bulkevych and Dmitry Khryzhanivskyi came from Kiev, Anna Kolomiitseva from Kharkiv, Andriy Yasharov from Vinnitsa, Iryna Lebedeva and Natalia Diachuk from Lviv. An outstanding Ukrainian writer and translator Andriy Sodomora, as well as Professor Roksolana Zorivchak, Head of the Department of Translation Studies and Contrastive Linguistics named after Hrihoriy Kochur addressed the audience with a welcome speech. The presentation provided a platform for discussion on different professional problems, namely dictionary questions, relations with clients, translator’s responsibility. Doctorant Taras Shmitt, Master Volodymyr Kuch and students actively participated in the discussion. A great interest was also given to the textbook by Tetyana Struk “Introduction to Industry Translation”, which acquaints readers with the translation process in accordance with industry standards, with the stages of the translation process and the algorithm of working with professional text.